The world’s cities will need to accommodate an additional 2,4 billion people by 2050, according to the World Health Organisation. A growing number of architects think those residents could live in wooden skyscrapers. 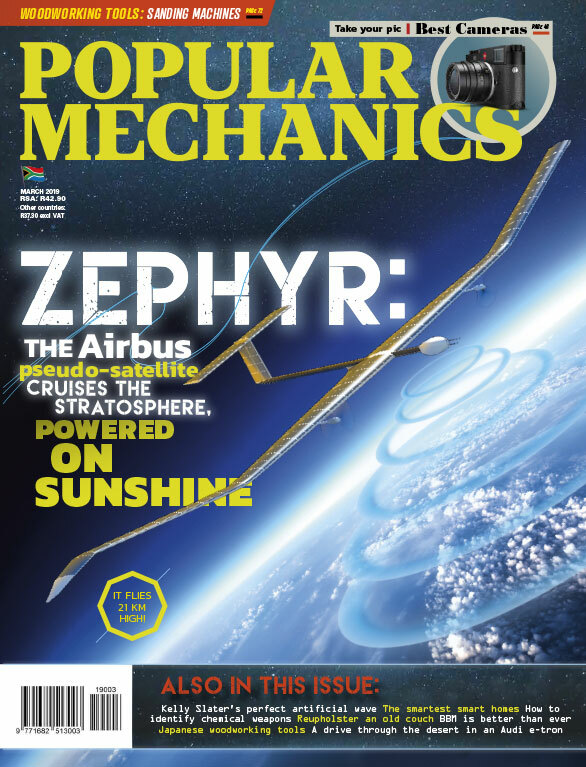 Every cubic metre of wood sequesters 1 ton of carbon from the atmosphere. 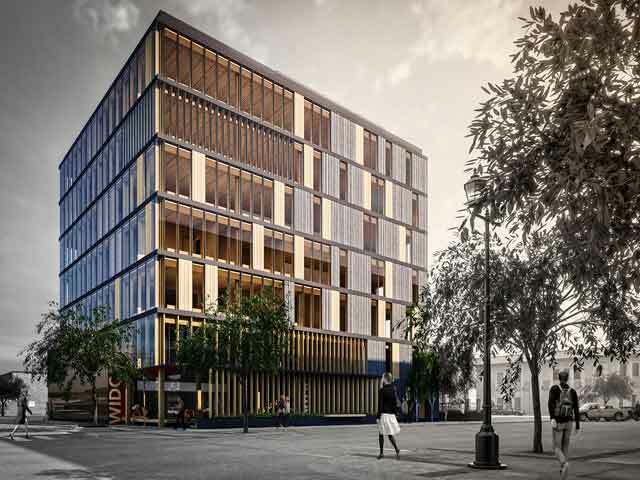 Compared with concrete and steel, building with timber would reduce emissions by up to 81 per cent, says architect Michael Green, who will complete construction on the Wood Innovation and Design Centre in British Columbia, Canada, in September. 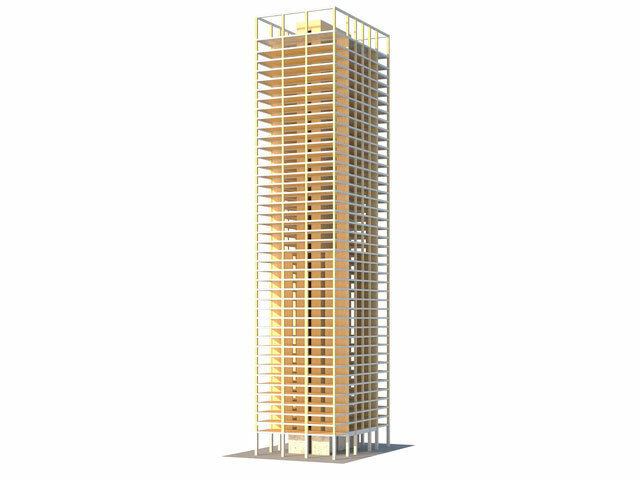 The finished structure is expected to reach 29,5 metres, which will make it the world’s tallest wooden building. Wooden architecture is reaching these new heights thanks to mass timber. 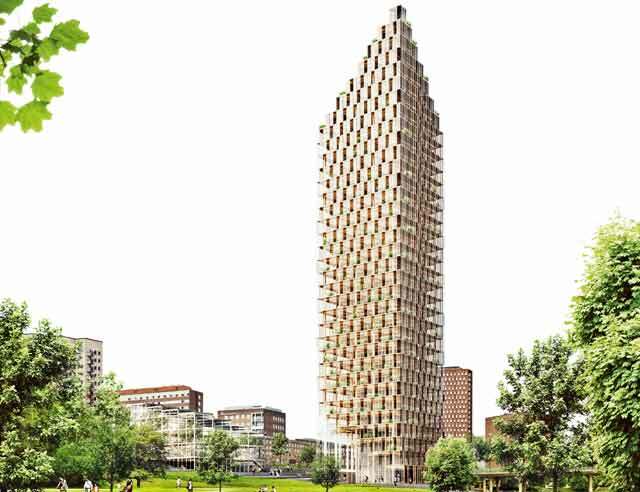 Composed of thin layers of wood from young or low-grade trees glued together into giant panels up to 400 mm thick, mass timber is stronger than regular planks, allowing architects to build towers as high as 42 storeys.